Logistics giant DHL has integrated solar panels on some of its delivery vehicles in the UK, cutting fuel costs and emissions. The system, called TRAiLAR, consists of flexible thin film solar panels (just 2mm thick) referred to as “solar mats” fitted to the roof of vehicles and connected to the primary battery or an auxiliary battery system. The energy generated is used for various applications such as operating tail lifts and air conditioning; reducing fuel consumption – or in the case of electric vehicles, extending their range. According to the company, independent trials showed fuel savings of up to 5.2% annually with TRAiLAR. The solar mats will also cut maintenance costs by reducing electrical load. Testing has already been carried out on 15 rigid vehicles, 6 semi-trailers, 8 cubicycles, a streetscooter and one concept semi-trailer. If you haven’t heard of a cubicycle, where’s what the beasties look like. The terror of navigating city traffic and sucking in all the exhaust fumes aside, operating a cubicycle looks like it could be a fun gig. DHL sees itself as setting an example to other logistics companies. 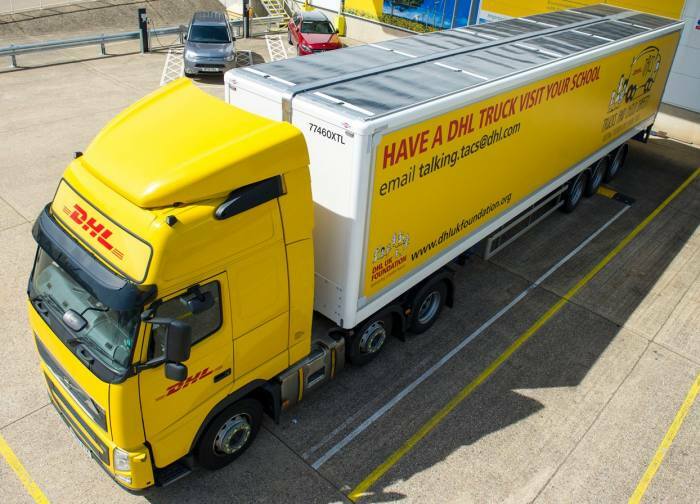 TRAiLAR is being rolled out across DHL’s own and customer UK fleets, with view to extending this to third parties from next year. Last year, DHL announced it will reduce all logistics-related emissions to zero by 2050, which is quite a challenge for a company so reliant on fossil fuels. In Australia, DHL has already begun embracing solar on rooftops rather than truck roofs. Among its installations is 170kW of capacity at its facility at Oakdale Industrial Estate in Eastern Creek, New South Wales. In related news, Australia Post released its first Environmental Action Plan (PDF) as part a commitment to reduce carbon emissions by 25 per cent by 2020; a goal it’s already making significant headway on. One of the interesting highlights of the Plan was the mention of the use of new motorbikes for posties, which has driven a 62 per cent improvement in fuel efficiency since 2013, with annual cost savings of $1.39 million and annual carbon reduction of 2,800 tonnes. 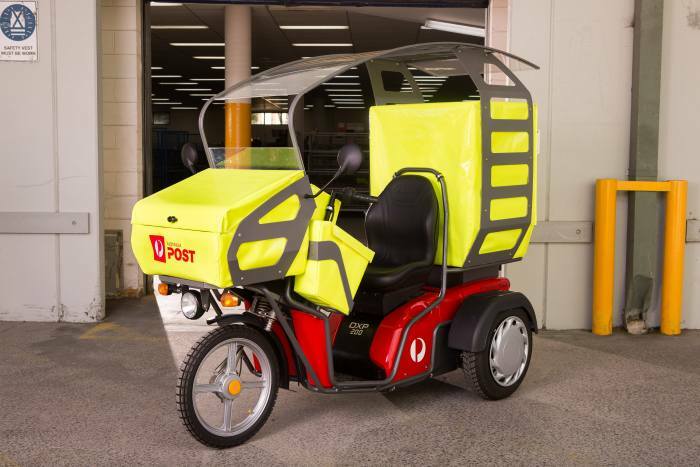 Australia Post has also been trialing three-wheeled electric vehicles for posties, which can carry up to 1,200 letters and triple the number of parcels previously possible. RenewEconomy reports the trial has been a success and 100 of the vehicles will be operational by the end of this month, in addition to more than 1000 electric assisted bikes. 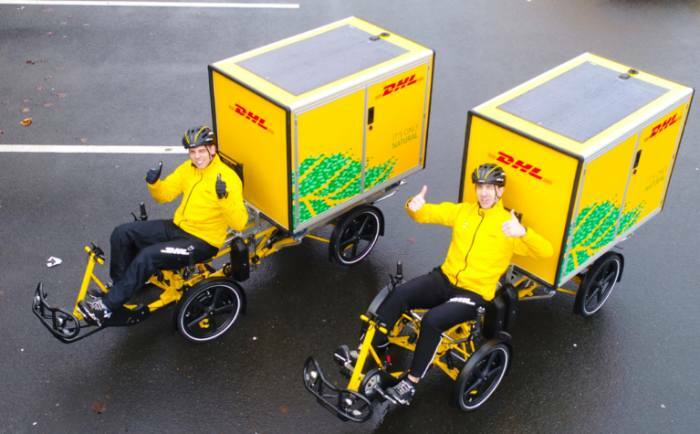 Perhaps we’ll see solar mats such as those used by DHL on the roofs of Australia Post three-wheelers soon too. 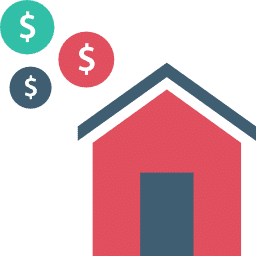 Last year, Australia Post unveiled a 2.1MW solar power system at its parcel sorting facility in Chullora, New South Wales; which Chief Financial Officer Janelle Hopkins says will save the organisation $800,000 a year.